When we think about communicating the truths of scripture to one another, and especially to the outside world, we often focus on only one of the three modes below, and probably the easiest and least effective – that of Orthodoxy. Teaching orthodoxy means teaching the ideas and precepts of the faith. This, of course is easiest because (a) it doesn’t require us to actually embody or practice said truths, (b) we are easily fooled into thinking that because we know something, we are doing it, and (c) it appeals to our sense of superiority to be able to know something and teach others (knowledge puff up 1 Cor. 8:1). But orthodoxy, or dogma, are important and useful if not mishandled – they give us a plumb line of principles that have been tested by generations of spiritual men and women who have thought about and refined the ideas through practice. While orthodoxy periodically requires a big shift, such as in the Anabaptist or Conditionalist movements (the latter of which I am part of), more typically, it is a trusted ally in the spiritual life. Orthodoxy mainly appeals to the mind, and though important, is perhaps least impressive to those outside the faith. 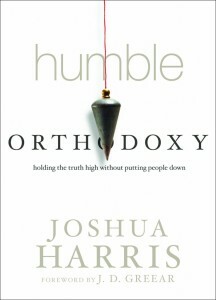 And at the very least, we need to have what Joshua Harris rightly calls Humble Orthodoxy. Orthopathy is what we learn and teach through experience – that is, our emotions. Many people start off the faith journey, not merely with a mental conviction, but a conviction of the heart and soul – one that involved realizing the love of God, and experiencing an inner shift. 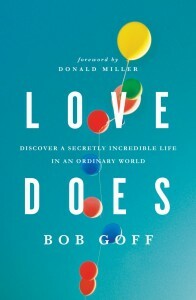 Without emotional, heartfelt engagement, our faith is merely powerless head-knowledge. Not only do we need full engagement of our inner mind and heart, but others need to see genuine enthusiasm also – not forced smiles or cult-like fervor, but deep, peaceful enjoyment in the way we have found. So let’s ask ourselves – how is our Orthopraxy? Does it exceed our Orthodoxy? Let’s make it so.